Fall Antique Week is spread out across an array of indoor and outdoor spaces. Huge tents and pavilions, red barns, sprawling marketplaces, and a town square are all part of the picturesque setting. Each venue will have a unique set of vendors and collection of antiques for sale. McLaren’s, for example, specializes in gorgeous vintage furniture and architectural elements. These include leather chairs, ornate doors made of teak wood, kitchen islands crafted from reclaimed English pine, and tables and bookcases inspired in design by the Industrial Revolution. McLaren’s also offers intricate light fixtures, mirrors, and an array of decorative objects for your home. If you get hungry or thirsty while shopping, you’ll find vendors for food and drinks at a number of these venues. You should also carry some water and snacks with you. At McLaren’s, you can stop by the London Bus Cafe, an air conditioned double-decker bus from England that serves a traditional English High Tea along with prosecco, sandwiches, pastries, scones, cakes, and pastries. To prepare yourself for days of shopping, wear shoes that are comfortable, and make sure you’ve provided yourself with sunscreen and a hat. Bringing along a light jacket and an umbrella is also a good idea. As for where you’ll stay during your trip, one option is a chain hotel. There’s a Best Western in Brenham and one in La Grange; Brenham also has a Holiday Inn Express. Another option is to stay at unique local lodgings. These include the highly rated Flophouze Hotel in Round Top. You have many choices in the general area. Just try to book lodgings as soon as possible. 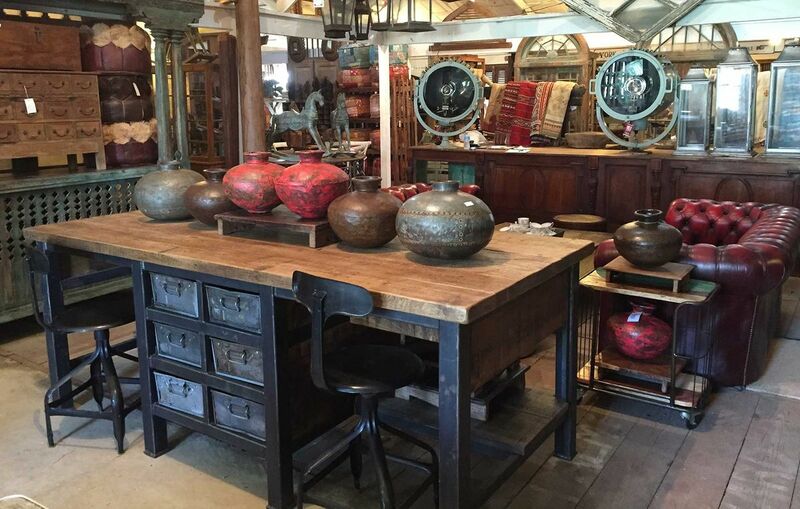 Fall Antique Week has an abundance of offerings and much to explore. McLaren’s is one of the vendors you don’t want to miss out on. The vintage furniture and architectural elements that you’ll find are distinguished for their craftsmanship, exquisite taste, and beauty. Whether you’re buying a French armoire or a table made of pine, teak, or oak, McLaren’s will give you unique ways to beautify your home.